Summary: Sunrisers Hyderabad loses a close match against Chennai Super Kings. CSK batted first and scored 182 runs losing 3 wickets. Ambati Rayadu was on fire and scored a massive 79 runs off 37 balls. Raina and Dhoni were unbeaten at 54 and 25 respectively. Bhuvneshwar and Rashid Khan from SRH took 1 wicket each. After losing 3 early wickets in 1st, 3rd and 5th overs, SRH’s skipper Kane Williamson took the team score to 150 when he got caught by Ravindra Jadega in 18th over. He scored 84 off 51 balls. Pathan and Shakib scored 45 and 24 runs respectively. Deepak Chahar from CKS bowled an excellent spell taking 3 wickets for 15 runs. It was a close finish and finally CSK won the match by 4 runs. 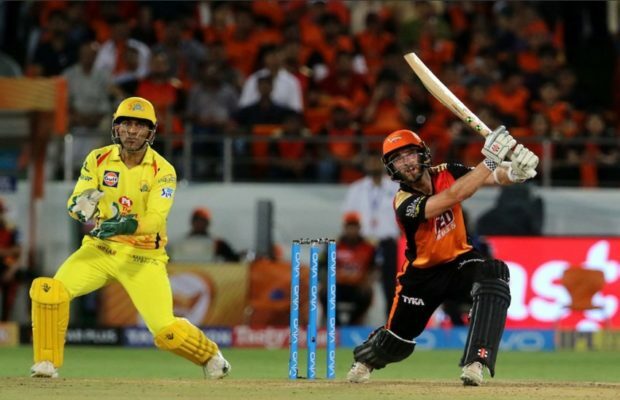 It was Sunday and the match between SRH and CSK held at Rajiv Gandhi International Stadium in Hyderabad provided enough entertainment to the spectators, specially the CSK fans. 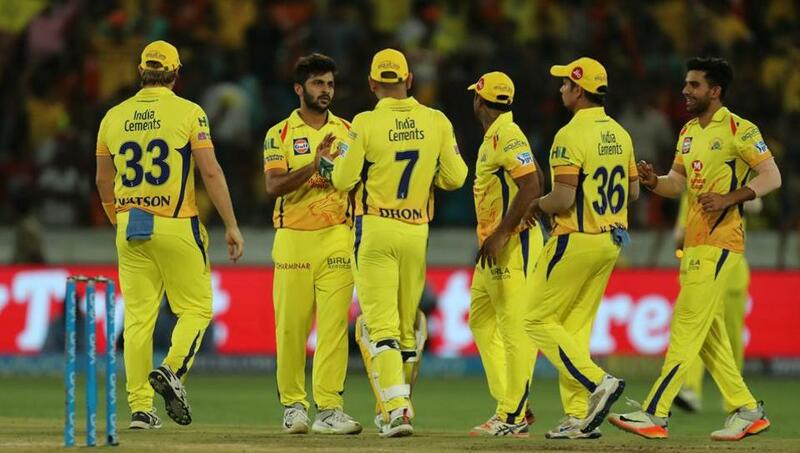 Despite losing its star batsman Watson early in 4th over and scoring just 41/2 in 9 overs, CSK still managed to reach a decent score of 182 at a loss of 3 wickets in 20 overs. Raina and Rayadu were seen attacking the SRH bowlers. Rayadu scored 79 off 37 balls with the help of nine 4s and four 6s. CSK scored 141 runs in the last 11 overs thereby taking the total score to 182. Sunrisers Hyderabad had a troubled start as they lost 3 wickets for just 22 runs in 4.2 overs. However their skipper Kane Williamson played a fantastic inning followed by Yusuf Pathan. Williamson scored 84 off 51 balls hitting five 4s and 6s each whereby Pathan scored 45 off 27 balls. 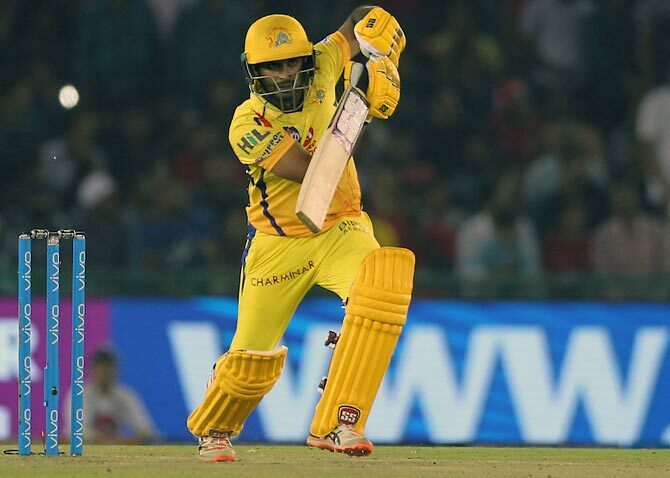 Both Williamson and Pathan went back to pavilion in 18th and 19th over, however the hope was still there with Rashid Khan scoring 17 off 4 balls, but even that could not save the match or them and they lost by meagre 4 runs to CSK. With this match, the CSK rises to top of the points table with 8 points in 5 matches, whereas SRH is at no. 4 with 6 points in 5 matches. Next articleIs EOS Capable of Addressing Energy Consumption Related Deficit Caused By Bitcoin Mining?